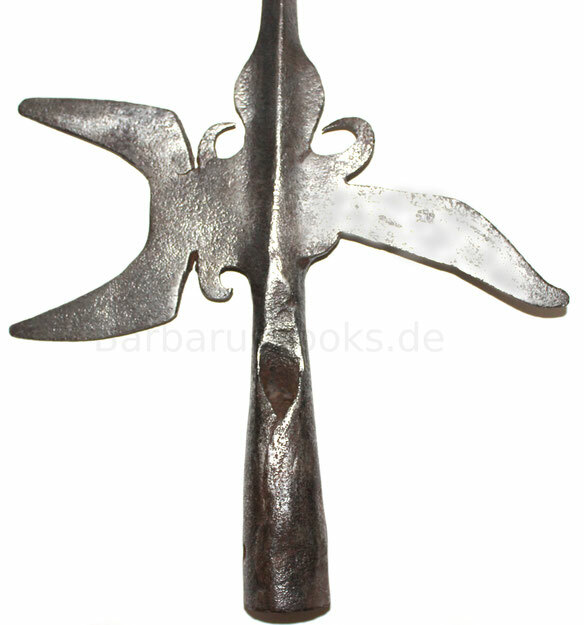 Today we shown an original 18th century night watchman's halberd from southern Germany. The right blade is blunt of this night watchman halberd. The hook on the left is also blunt. The entire construction is solid forged. The upper opening of the socket is visible, which indicates a sharpened wooden shaft. 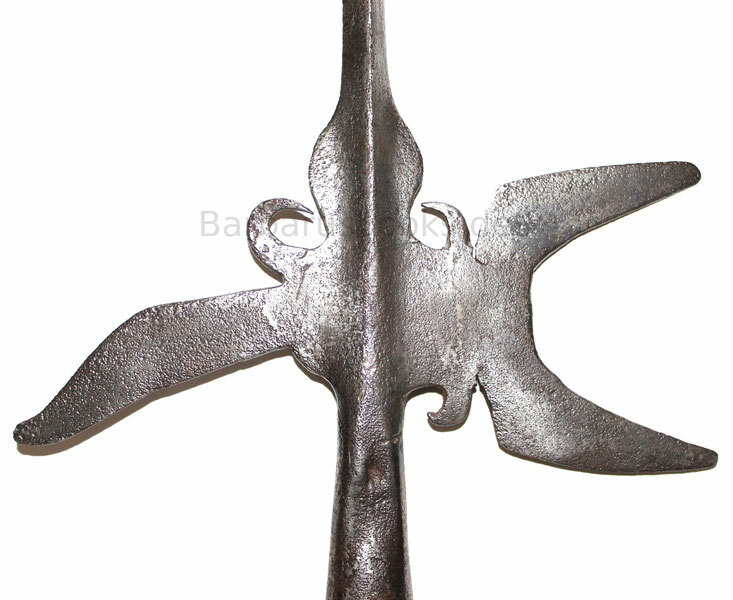 This night watchman's halberd has no langet as typical military counterparts have. It was only placed on a sharpened wooden shaft and fastened with a large nail or bolt. A 3 cm wide rivet hole can be seen. The wooden shaft itself can be about 2 meters long.